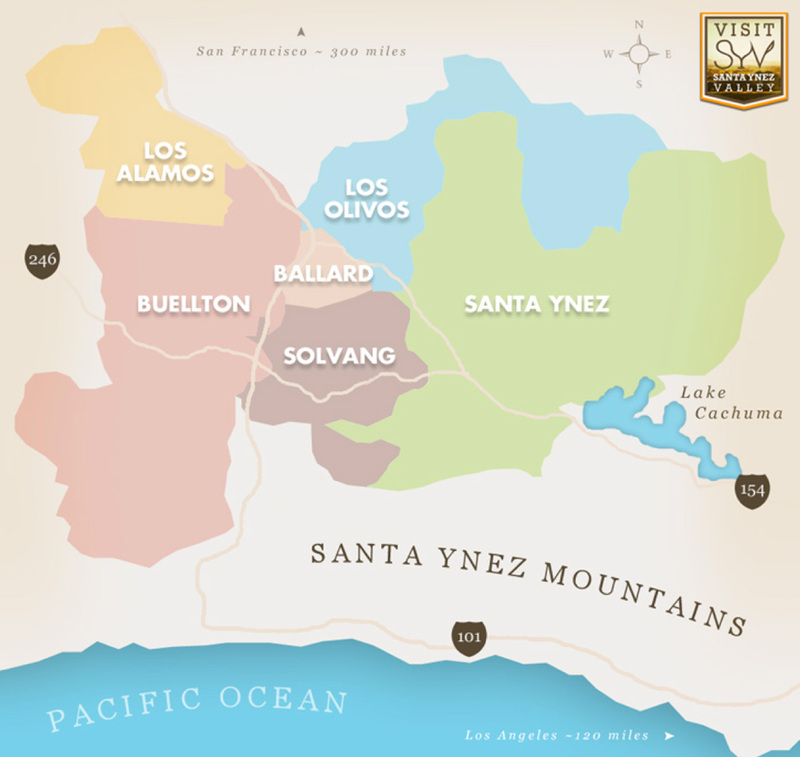 The picturesque Santa Ynez Valley encompasses six communities clustered closely together like wine grapes. From the charming, tiny gem of rural Ballard, the bustling gateway city of Buellton, the vintage western town of Los Alamos, the arts-influenced wine-infused town of Los Olivos and the turn-of-the-20th-century township of Santa Ynez, to the northern European atmosphere of the city of Solvang founded by Danish-Americans in 1911, it’s relaxing and refreshing to meander and experience them all. Just two hours up the coast from Los Angeles, it feels like a world away with endless possibilities. Experience the beauty and charm of The Santa Ynez Valley with an overnight stay in one of our 33 member hotels in the communities of Solvang, Santa Ynez, Los Olivos, Los Alamos, Buellton and Ballard. With 33 lodging options, you’re sure to find a great location within walking distance to fun activities for all. What’s on the menu? Everything from down-home American to authentic Danish and smorgasbord to sushi to modern Italian-American cuisine. There’s something delicious here to please any palate and pocketbook. You’ll find restaurants spot-lighting local ingredients, romantic hideaways, family-friendly pancake houses, brew pups, oodles of al fresco dining options, wine from the valley’s award-winning vineyards and even locally-brewed beers. Local chefs scour the Solvang Village Farmers Market for just-picked produce every Wednesday afternoon year-round in downtown Solvang (on First St. between Mission Dr. and Copenhagen Dr.). Seasonal farm stands burst with fresh fruits and veggies, lavender, olive oils and more, adding to the strong rural flavor of the area. Click Visit.SYV for a complete list of restaurants and cafes, but below is a list of our recommendations.